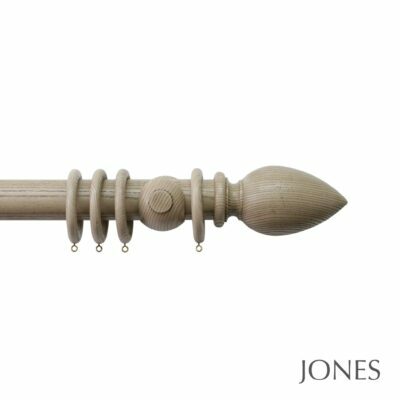 The Jones Oakham 50mm curtain poles is a solid ash collection, stained by hand, encouraging the grain of the wood to become visible. 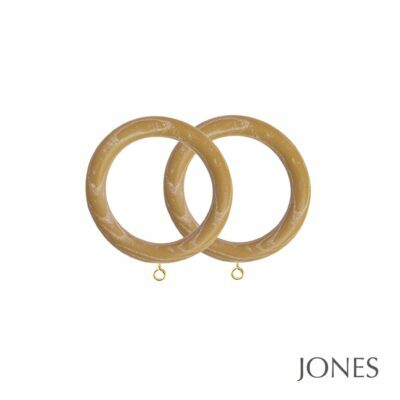 Every component comes alive with its own unique look and is perfect for that natural sophistication. 8 standard colours are available. The colours vary from white / light woods, mid to dark wood finishes to grey tones. There is a choice of either a ball or cone style finial. Available up to 3m as a single pole length this range is also idea for extra wide windows and bi-fold doors. You can join 2 poles together giving you a maximum width of 6m! 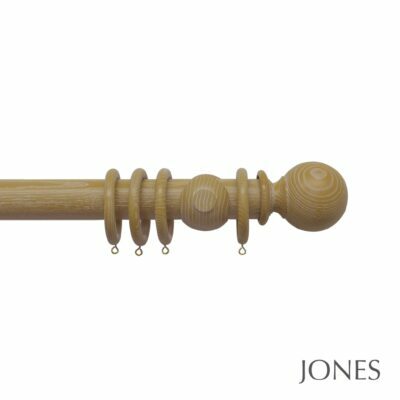 We supply these curtain poles with the wooden cup brackets as standard, however metal brackets are also available. Please call us on 01625 449039 or email sales@thehomeofinteriors.co.uk if you would like a quotation for an alternative bracket style.